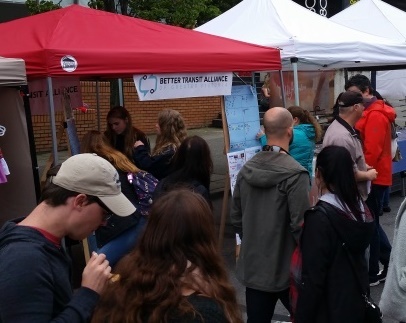 The Better Transit Alliance (BTA) understands that the Victoria Transit Commission will soon be holding an internal workshop to discuss setting priorities for BC Transit. We would like you to consider these points in your workshop and other actions. Our region needs transportation solutions that address the needs of local residents while rapidly reducing greenhouse gas pollution as called for in the Climate Emergency declaration unanimously passed by the CRD. Every investment and decision must be examined to determine if it is going to be effective in reducing climate pollution over the next eleven years. Letters to the editor are crucial for getting better transit. Please consider writing a letter to the editor today! 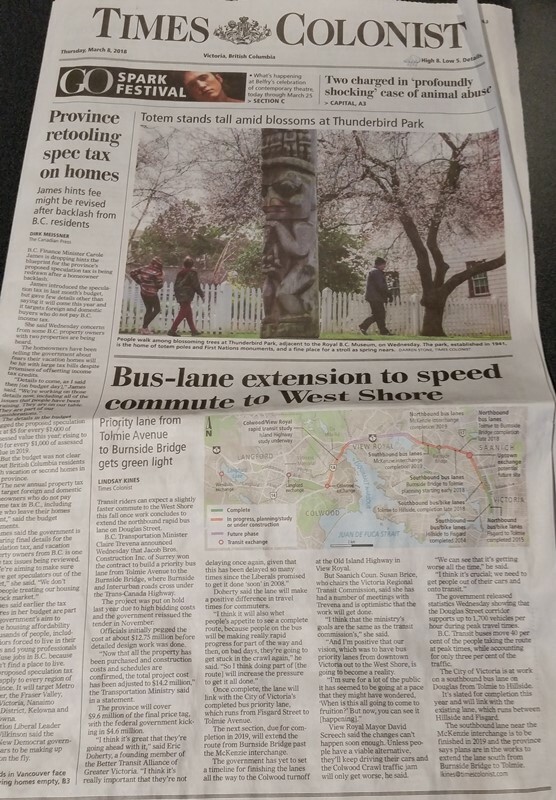 Re: “$16M OK’d to complete key bus lane,” March 7. 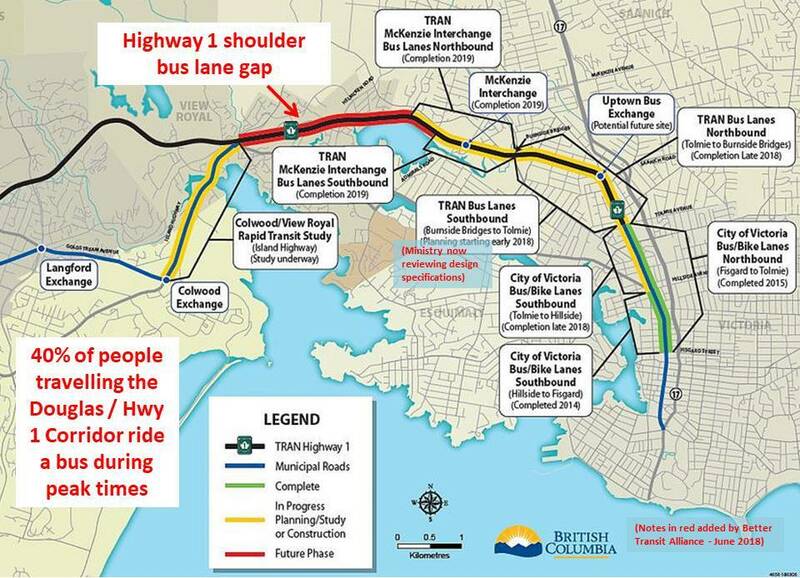 Victoria, BC – Victorians for Transportation Choice (VTC) challenges the Ministry of Transportation and Infrastructure to align its southern Vancouver Island transportation strategy with BC’s climate action goals, including legislated GHG reduction targets. • Invest in transit, and protect the Sooke Hills Park! • Breaking – Victoria to fund youth transit passes! Invest in transit, and protect the Sooke Hills Park! 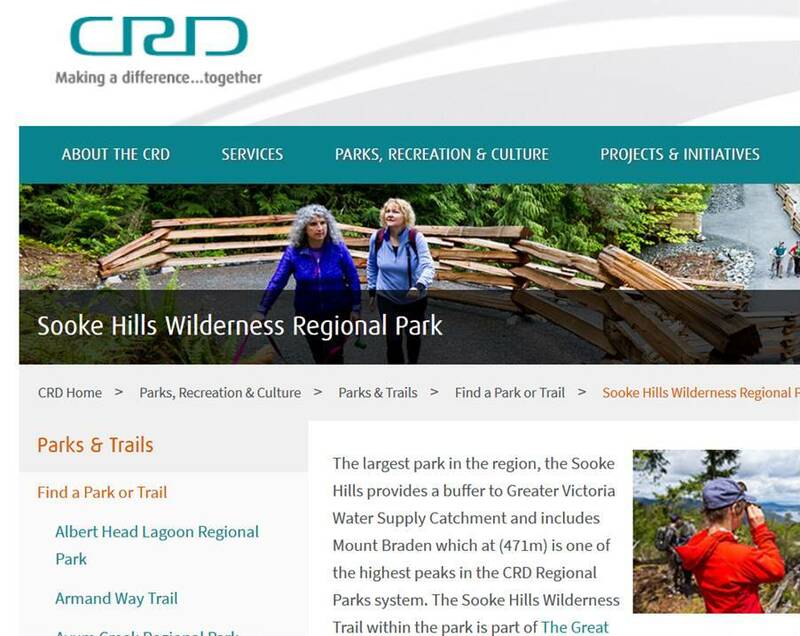 The Sooke Hills Wilderness Regional Park is part of the Sea to Sea Green Blue Belt, the Capital Regional District’s (CRD) green belt linking Saanich Inlet in the east to Juan de Fuca Strait in the west. 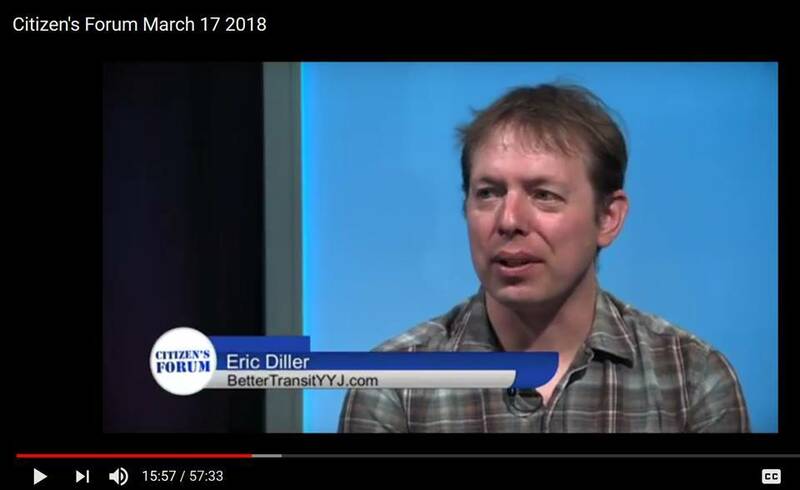 Eric Diller of the Better Transit Alliance was interviewed by Walter McGinnis on the Citizen’s Forum show on Shaw. 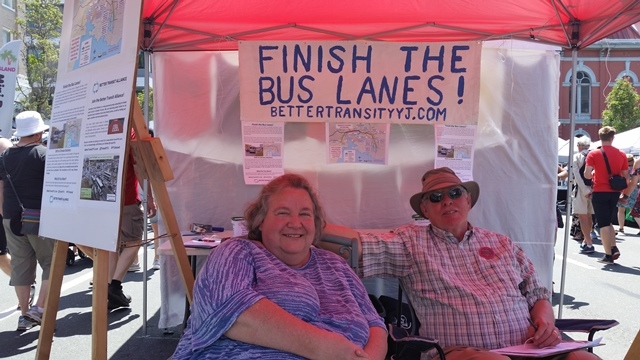 Check out the wide ranging discussion of the Douglas / Highway 1 bus lanes, electric buses and more. 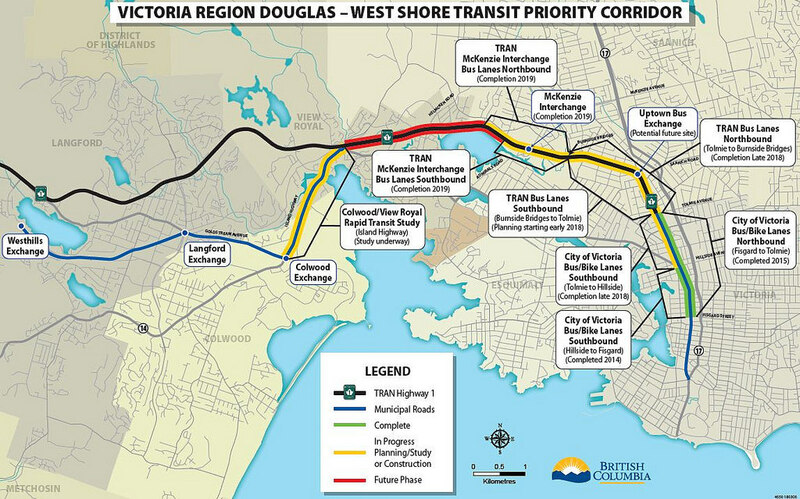 Transit riders can expect a slightly faster commute to the West Shore this fall once work concludes to extend the northbound rapid bus lane on Douglas Street.